JVCs new 2018 range of AV Receivers are set to stun the market, with awesome visuals, backed up with loads of awesome features and audio performance that has to be experienced to be believed. Mobile connectivity is a big thing these days with any and all things electronic and JVC are well aware of this, releasing the new KW-M740BT AV Digital Media Receiver with a host of awesome features and connectivity functions for your smartphone that take convenience to a whole other level. Fronted by a large, vibrant 6.8 inch WVGA Clear Resistive Touchscreen display, users can access all the awesomeness the KW-M740BT has to offer via JVC's extremely intuitive and user friendly interface which is a real pleasure to use. On the audio side of things, the KW-M740BT is just as impressive. Dual rear USB inputs, advanced Bluetooth with auto pairing for hands-free calls and music streaming as well as Spotify full control are just a few of the treats you get to play with. Then, as if that's not enough... The KW-M740BT is also ready to rock with Apple Carplay & Android Auto for the ultimate in smartphone integration. WebLink is a unique and easy-to-use feature of the KW-M740BT, giving users in-dash control of select apps. 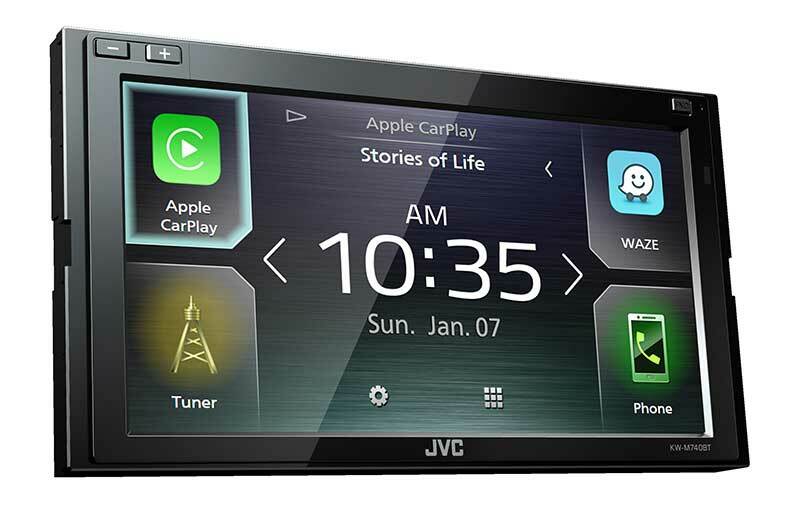 The system needs three things to do its magic - a compatible JVC Multimedia Receiver, an iPhone or Android smartphone, and a compatible app that works with WebLink. Once sorted, users will have the ability to use the receiver to control these popular apps on the phone. Compatible with both iOS and Android devices, the WebLink car connectivity solution offers the fastest and easiest way for drivers to elevate their in-vehicle, smartphone experience to the next level. 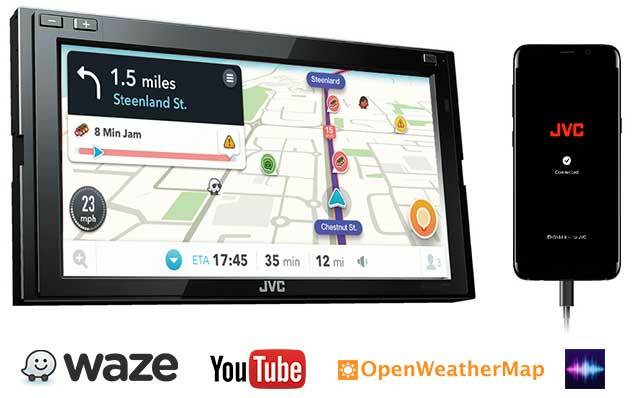 Waze is the world's largest community-based traffic and navigation app and it's now available on the KW-M740BT. Join other drivers in your area who share real-time traffic and road info, saving everyone time and fuel on their daily commute. The popular app offers many user-assisted features including traffic alerts, community edited maps, shared fuel price listings as well as the ability to sync with your friends via Facebook to allow for co-ordinated trips. Not only is the KW-M740BT's display visually stunning, it also makes navigating through menus and accessing files and features super easy. Just touch and move your finger over the screen for various operations corresponding to your finger movements. Intuitive control provides safer operation for in-car entertainment. JVC has boosted the versatility of the Bluetooth capabilities with the KW-M740BT, with two phone full time connection possible, with secure and simple pairing. This allows calls to come through to either phone and be received by a push of a button on the head unit. HPF 1.6 Wideband Speech is also supported, so you can now enjoy hands-free phoning convenience together with higher voice quality, improved noise reduction and a higher level of voice recognition accuracy. The unit is also boasts Bluetooth AVRCP1.5 for Versatile Song Selection. What does that mean you ask...? Well in addition to repeat and random playback of music files, it also allows users to easily search for songs using the browsing function. Just look for and choose the song you want to hear from the folder name and song name lists. Android users can also benefit from Automatic Pairing; simply connect your Android device* via USB and the automatic Bluetooth pairing function will work to complete the pairing. No complicated manual procedure to worry about. *JVC Music Play application is required. Move to the groove and get the party pumping to the max with KW-M740BT's Streaming DJ feature which allows users to connect up to 5 Bluetooth devices simultaneously, so you and your friends can take turns streaming music like a DJ. 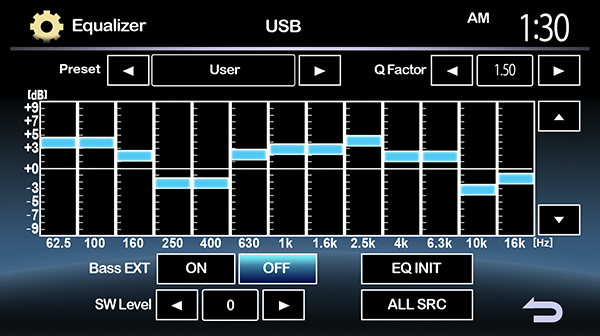 Use the 13-Band Equalizer to manually adjust the sound to your taste and music style. Compatible with FLAC format which allows digital audio to be losslessly compressed, so that file size is reduced without any information being sacrificed. Also compatible with playback of 24bit / 48kHz FLAC format. Control the receiver's source directly from the smartphone using simple finger gestures with "JVC Remote" app* now available for both iOS and Android. You can even customise your audio setting, and see detailed source information such as song title, artist name and album art etc. from the smartphone. K2 is a JVC’s original technology that reproduces the original master sound by expanding the bit rate and frequency range. 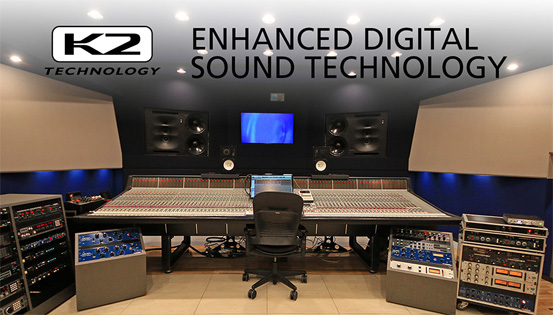 K2 is compatible with all sources including CD. For example, K2 will expand the digital data of the audio CD recorded at 44.1kHz/16 bit to 48 kHz/24 bit, and recreate the high-frequency range above 20kHz that is cut during the CD formatting. This unit makes even your stock speakers sound amazing, and gives you so many options when it comes to listening to music. Android Auto and Weblink are a bit fiddly to set up, but otherwise the unit performs great. Postage and price from Frankie's was fantastic. This unit is the best value unit on the market and sounds great also. I added a reverse camera and feel like I'm in a different car.